This ingenious piece of furniture actually comes from the other side of the Atlantic, more precisely, from the Nordic city of Århus, in Denmark. 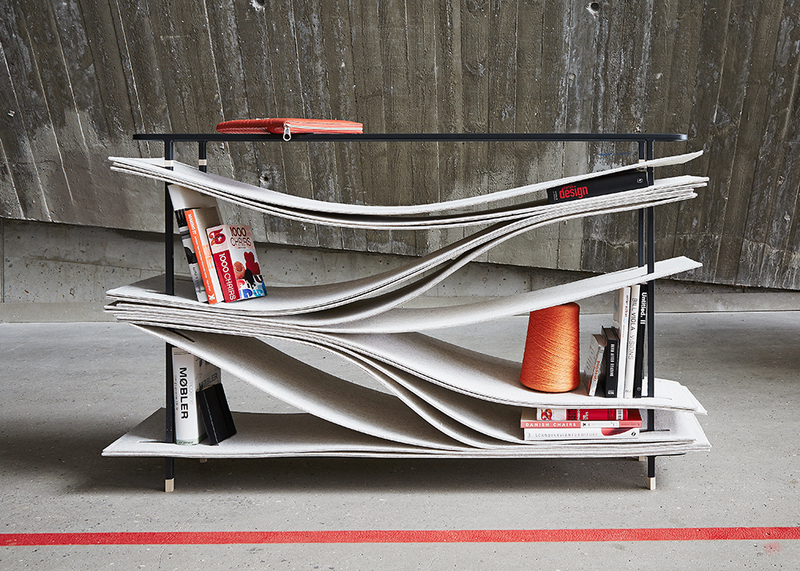 An idea by Studio FEM, its undulating design playfully involves the user while adapting to changing storage needs. Called Wave, the design plays on Studio FEM’s belief that designs should not only be seen but also felt. Their wonderful shelving system is the joining of a simple shelving concept with natural, pliable materials and a timeless aesthetic — innate qualities of Danish design. 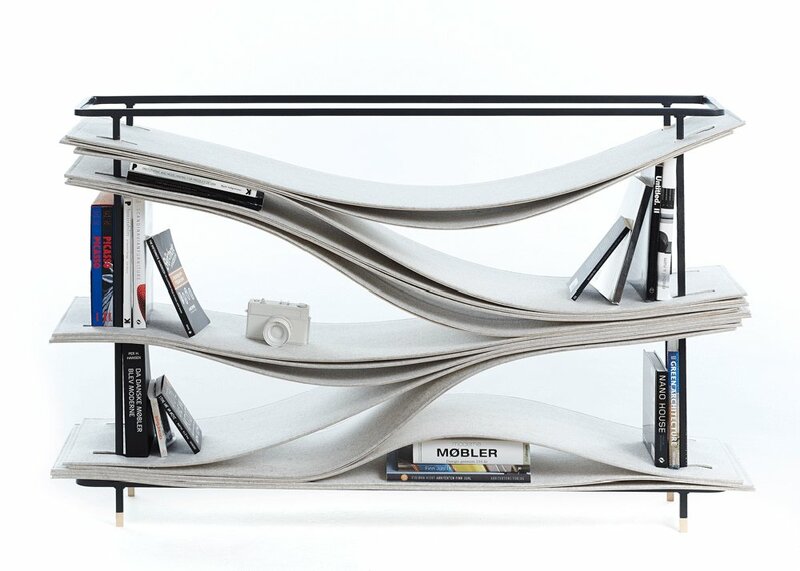 The wave is also eco-friendly, boasting biodegradable felt shelves held together with an elegant steel frame. The adaptable design can accommodate just about any object, but we’d recommend keeping your extra fragile items elsewhere. Browse more of Studio FEM’s creations on their website.